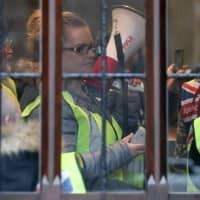 LONDON - Prime Minister Theresa May will ask the European Union to delay Brexit by at least three months after her plan to hold another vote this week on her twice-defeated divorce deal was thrown into disarray by a surprise intervention from the speaker of Parliament. Just 10 days before the March 29 exit date that May set two years ago — and two days before a crucial EU summit — she was on Tuesday writing to European Council President Donald Tusk to ask for a delay, her spokesman said. The BBC’s political editor, Laura Kuenssberg, said May would ask for an extension until June 30 — which could give her another chance to pass her deal — with the option of a delay of up to two years. Tusk and Irish Prime Minister Leo Varadkar agreed after talks that they must now “see what proposals emerge from London in advance of the European Council meeting in Brussels on Thursday. If Britain left with no deal, it would quit the EU’s 500 million-strong single market and customs union overnight, falling back on World Trade Organisation rules that could mean many import and export tariffs. It would face the prospect of manufacturing and financial market disruption, sharp economic contraction and border delays. 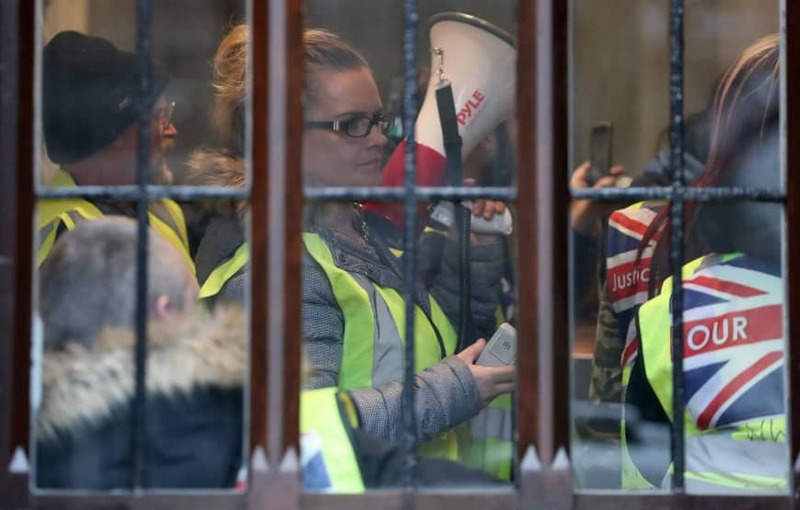 The 2016 referendum, which produced a 52-48 percent vote to leave, exposed deep divisions and has fueled soul-searching about everything from secession and immigration to capitalism and British identity. Even before Bercow’s intervention, May was having difficulty boosting support for her deal — which would set out to secure close trading ties with the EU while leaving its formal structures — after it was defeated by 230 votes on Jan. 15, and by 149 votes on March 12. She needs to win over at least 75 lawmakers — dozens of rebels in her own Conservative Party, some Labour lawmakers, and the Northern Irish Democratic Unionist Party (DUP), which props up her minority government.